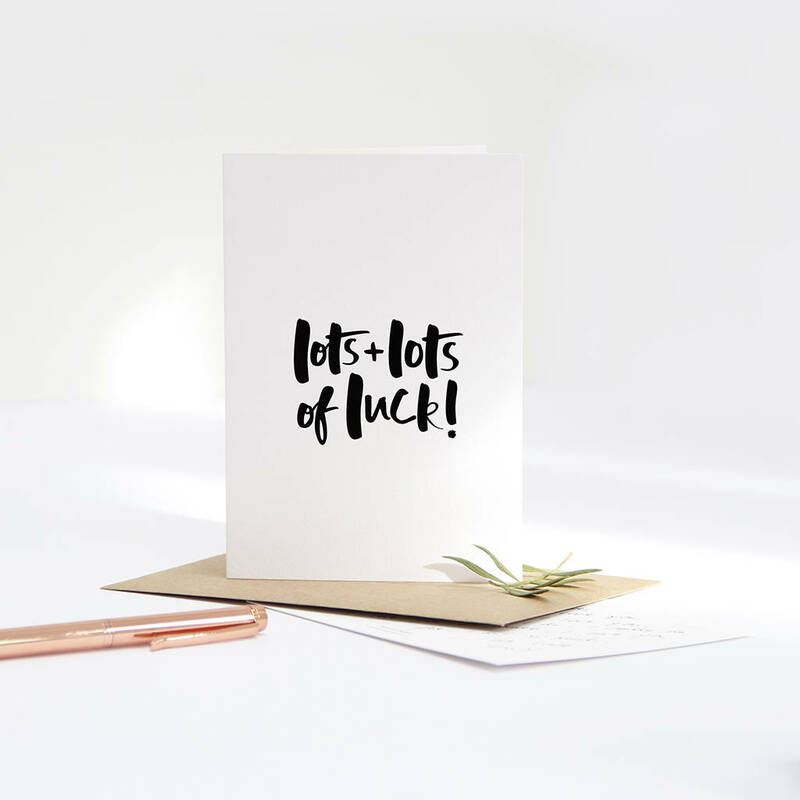 A contemporary, hand lettered good luck card. 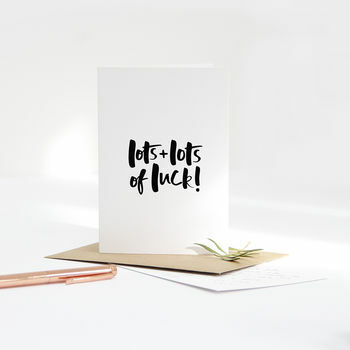 This simple, fun and contemporary good luck card reads 'Lots And Lots Of Luck' and makes the perfect choice to wish someone special lots of luck in upcoming exams, a new job, a driving test or embarking on a new adventure. 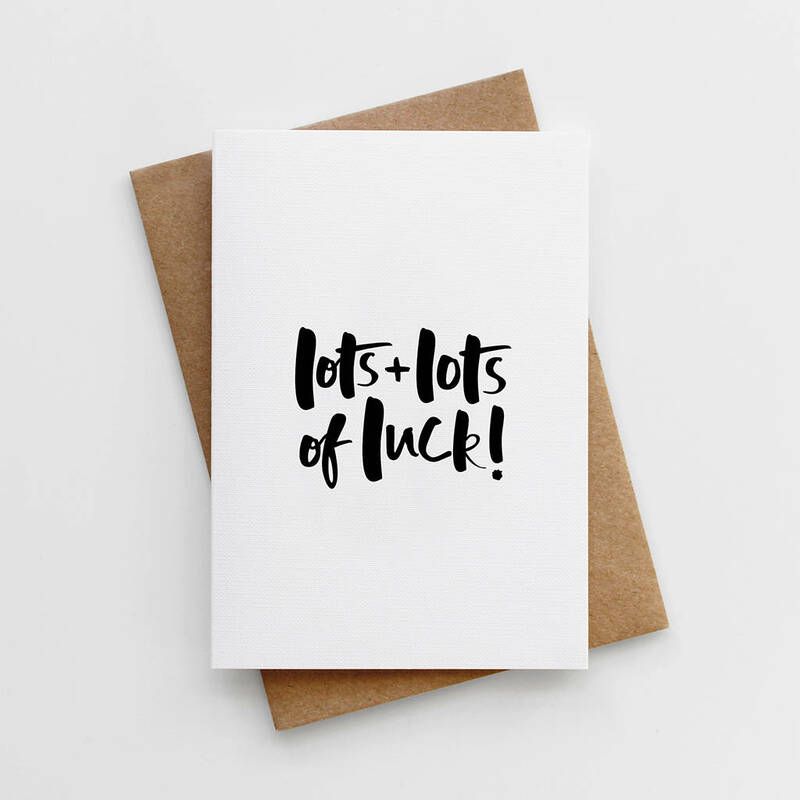 'Lots And Lots Of Luck' Good Luck Card is 10.5 x 14.8cm (A6) and comes with a 11.4 x 16.2cm (C6) envelope.